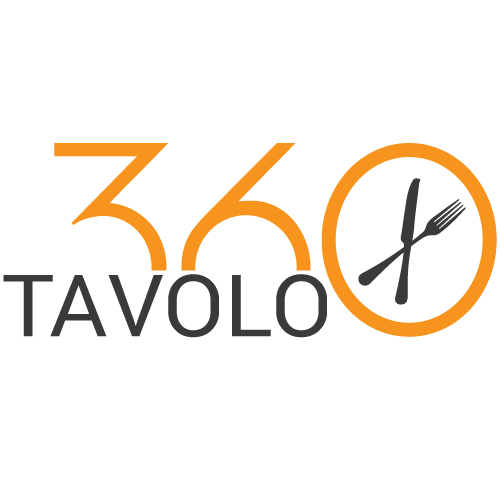 Welcome to Tavolo360 (the “Site”), a service operated by Wireless Synergy Pty Ltd. The following terms and conditions (the “Terms”) form a binding agreement between You and us. Please review the following Terms carefully. By using the Tavolo360 Powered App, You are agreeing to these Terms, and these Terms will govern Your use of the Site and the Services (defined below). If You do not agree to these Terms, You must cease use of the Site and Services. The terms “Tavolo360”, “us”, “we” or “our” refers to Wireless Synergy Pty Ltd., the owner of the Site and Services. The term “You” or “Your” refers to the person accessing or using the Site and Services, or the company or organization on whose behalf that person accesses the Site and Services. You are responsible for maintaining the security of your account and password. Tavolo360.com cannot and will not be liable for any loss or damage from your failure to comply with this security obligation. Violation of any of these agreements will result in the termination of your Account. While Tavolo360 prohibits such conduct and Content on the Service, you understand and agree that Tavolo360 cannot be responsible for the Content posted on the Site and Services and you nonetheless may be exposed to such materials. You agree to use the Services at your own risk. (ii) combine Your Content with our proprietary platform, which may include our sharing, tracking and other capabilities (the “Tavolo360 API”). One of the basic functions of the Services is to maximize distribution of Your Content, and as such, You agree to allow us to reference Your Content on our Site and other delivery points and distribute Your Content to various delivery points. By paying a monthly fee and as long as you are a customer of the Tavolo360, you are granted a right to use the Services subject to the restrictions set forth in this agreement. You agree to pay for the services in accordance with our service fees and to pay the service fee until you cancel your account. You can terminate your account at any time; and Tavolo360 reserves the right, in its sole discretion, to terminate your account if you violate this Agreement. We retain all right to determine the features and capabilities included as part of the Site and the Services. We may include features and capabilities that link to third-party services, content, advertisements, applications, widgets or websites from the Site, Services, Tavolo360.com or Tavolo360.com Tools. We also retain the right to restrict 3rd party content being included in any websites and mobile apps Tavolo360 develops for clients. Your use of the Service is at your sole risk. The service is provided on an “as is” and “as available” basis. Technical support is only available via e-mail. You understand that Tavolo360.com uses third party vendors and hosting partners to provide the necessary hardware, software, networking, storage, and related technology required to run the Service.  When your application displays any information obtained from our API, you must include a link with the text “Powered by the Tavolo360.com” that links back to https://www.tavolo360.com. This link must be large enough to be visible. The Tavolo360 uses data provided by third parties. These third parties will be identified in the “source” field for appropriate API calls. By using this data, you agree to the Terms of Service for the listed third party. The Tavolo360.com API may contain links to third-party content, websites, advertising, applications or widgets that are not owned or controlled by the Tavolo360.com. We have no control over and assume no responsibility for, the content, privacy policies, or practices of any third party websites, advertising, applications or widgets. In addition, the Tavolo360.com will not and cannot censor or edit the content of any third-party website, advertisement, application or widget. By using the Services, You expressly relieve the Tavolo360.com from any and all liability arising from Your use of any third-party content. All items listed in your menu must be legal for sale. The Tavolo360.com will not be held responsible for any illegal sales. (ii) You have the written consent, release, and/or permission of each and every identifiable individual person in Your Content to use the name or likeness of each and every such identifiable individual person to enable inclusion and use of Your Content in the manner contemplated by our Services and these Terms. For clarity, You retain all of Your ownership rights in Your Content. However, by placing the Your Content in the Tavolo360.com API, You hereby grant the Tavolo360.com a worldwide, non-exclusive, royalty-free, sub-licensable and transferable license to use, reproduce, distribute, prepare derivative works of, display, and perform Your Content in connection with our Services and the Tavolo360.com’s (and its parent and successor’s) business, including without limitation for promoting and redistributing Your Content (and derivative works thereof) in any media formats and through any media channels. You also hereby grant each user accessing Your Content a non-exclusive license to access Your Content and to use, reproduce, distribute, display and perform Your Content. The foregoing license granted by You terminates once You block access to, remove or delete Your Content. You agree that this license includes a right for Tavolo360 to make such Content available to other companies, organizations or individuals with whom Tavolo360 has relationships for the provision of services, and to use such Content in connection with the provision of those services. (b) make such changes to your Content as are necessary to conform and adapt that Content to the technical requirements of connecting networks, devices, services or media. You agree that this license shall permit Tavolo360 to take these actions. (iv) impersonate another person. The Tavolo360.com does not endorse any of Your Content or any opinion, recommendation, or advice expressed therein, and the Tavolo360.com expressly disclaims any and all liability in connection with Your Content. The Tavolo360.com does not condone copyright infringing activities and infringement of intellectual property rights throughout its Service, and the Tavolo360.com will remove Your Content if properly notified that Your Content infringes on another’s intellectual property rights. The Tavolo360.com will also suspend and/or terminate a user’s access to our Service if they are determined to be a repeat infringer. A repeat infringer is a user who has been notified of infringing activity more than twice and/or has Your Content removed more than twice. The Tavolo360.com also reserves the right to decide whether Your Content is appropriate and complies with these Terms for violations other than copyright infringement and violations of intellectual property law, such as, but not limited to obscene or defamatory material. The Tavolo360.com may remove Your Content and/or suspend or terminate a user’s access for uploading such material in violation of these Terms at any time, without prior notice and at its sole discretion. Please note that pursuant to 17 U.S.C., section 512(f), any misrepresentation of material fact (falsities) in a written notification automatically subjects the complaining party to liability for any damages, costs and attorney’s fees incurred by the Tavolo360.com in connection with the written notification and allegation of copyright infringement. For clarity, only DMCA notices should go to the Copyright Agent; any other feedback, comments, requests for technical support, and other communications should be directed to the Tavolo360.com customer service. You acknowledge that if You fail to comply with all of the requirements of this Section, Your DMCA notice may not be valid. In order to provide certain Services, You must allow us to use raw data related to the use and distribution of Your Content (“Data”) that will be collected as part of the Services. You hereby grant the Tavolo360.com a non-exclusive, perpetual, worldwide and irrevocable right and license to utilize the Data to track, extract, compile, synthesize, aggregate, and analyze such Data, including, but not limited to, the creation of anonymous and promotional tracking data (“Tracking Data”). We reserve the right to use, reproduce, distribute and display Tracking Data, in our sole discretion. THE SITE, SERVICES, AND THE Tavolo360.com ARE PROVIDED ON AN “AS IS” AND “AS AVAILABLE” BASIS WITHOUT ANY WARRANTIES OF ANY KIND. TO THE MAXIMUM EXTENT PERMITTED BY LAW, THE Tavolo360.com, ITS PARENT, AFFILIATES, OFFICERS, DIRECTORS, AGENTS, AND EMPLOYEES EXPRESSLY DISCLAIM ALL REPRESENTATIONS AND WARRANTIES, WHETHER EXPRESS OR IMPLIED, ORAL OR WRITTEN, INCLUDING ANY WARRANTIES OF MERCHANTABILITY, FITNESS FOR A PARTICULAR PURPOSE, NON-INFRINGEMENT, TITLE, QUIET ENJOYMENT, AND SYSTEM INTEGRATION. THE Tavolo360.com, ITS PARENT, AFFILIATES, OFFICERS, DIRECTORS, AGENTS, AND EMPLOYEES MAKE NO WARRANTIES ABOUT THE ACCURACY, RELIABILITY, COMPLETENESS, QUALITY, OR TIMELINESS OF THE SITE, THE Tavolo360.com, OR SERVICES, OR THAT PROBLEMS WITH THE FOREGOING WILL BE CORRECTED, OR THAT THE SITE IS FREE OF VIRUSES AND OTHER HARMFUL COMPONENTS. YOU ACKNOWLEDGE AND AGREE THAT WE ARE ONLY WILLING TO PROVIDE ACCESS TO THE SITE AND THE Tavolo360.com, AND TO PROVIDE THE SERVICES IF YOU AGREE TO CERTAIN LIMITATIONS OF OUR LIABILITY TO YOU AND TO THIRD PARTIES. IN NO EVENT WILL THE Tavolo360.com, ITS PARENT, AFFILIATES, OFFICERS, DIRECTORS, AGENTS OR EMPLOYEES BE LIABLE TO YOU OR ANY THIRD PARTY FOR ANY INDIRECT DAMAGES, INCLUDING, WITHOUT LIMITATION, INCIDENTAL AND CONSEQUENTIAL DAMAGES, NOR LOST PROFITS, ARISING IN CONNECTION WITH THE SITE, SERVICES OR THESE TERMS, INCLUDING, FOR EXAMPLE, DAMAGES RESULTING FROM LOST DATA, LOST EMPLOYMENT OPPORTUNITIES, OR BUSINESS INTERRUPTIONS, OR RESULTING FROM THE USE OR ACCESS TO, OR THE INABILITY TO USE OR TO ACCESS, THE SERVICE, SITE, OR THE CONTENT. THE Tavolo360.com, ITS PARENT, AFFILIATES, OFFICERS, DIRECTORS, AGENTS, AND EMPLOYEES WILL NOT BE LIABLE FOR ANY DAMAGES ARISING FROM THE TRANSACTIONS BETWEEN YOU AND THIRD PARTY MERCHANTS OR FOR ANY INFORMATION APPEARING ON MERCHANT SITES OR ANY OTHER SITE LINKED TO OUR SITE. THESE LIMITATIONS OF LIABILITY APPLY REGARDLESS OF THE NATURE OF ANY CLAIM, WHETHER BASED ON WARRANTY, CONTRACT, TORT, OR ANY OTHER LEGAL OR EQUITABLE THEORY, AND WHETHER OR NOT THE Tavolo360.com IS ADVISED OF THE POSSIBILITY OF SUCH DAMAGES. YOU AGREE THAT YOUR SOLE REMEDY FOR ANY CLAIMS ARISING IN CONNECTION WITH THESE TERMS IS TO DISCONTINUE USING THE SITE AND SERVICES. IN THE EVENT THAT A COURT DETERMINES THAT THE PRECEDING SENTENCE IS UNENFORCEABLE, THE AGGREGATE LIABILITY OF THE Tavolo360.com TO YOU FOR ALL CLAIMS ARISING IN CONNECTION WITH THESE TERMS WILL NOT EXCEED THE GREATER OF (A) ALL AMOUNTS PAID BY YOU UNDER THESE TERMS WITHIN THE LAST TWELVE (12) MONTHS, AND (B) FIFTY DOLLARS (AUS $50.00). You agree to defend, indemnify and hold harmless the Tavolo360.com, affiliates, officers, directors, employees and agents, from and against any and all claims, damages, obligations, losses, liabilities, costs or debt, and expenses (including but not limited to attorney’s fees) arising from: (i) Your use of and access to the Site, Services, or the Tavolo360.com; (ii) Your violation of any term of these Terms; (iii) Your violation of any third party right, including without limitation any copyright, property, or privacy right; (iv) the distribution of Your Content; or (v) any claim that Your Content or Data caused damage to a third party. This defense and indemnification obligation will survive these Terms and Your use of the Tavolo360.com and/or the Tavolo360.com API. You and we are independent contracts, and nothing in these Terms creates a partnership, employment relationship or agency. There are no third-party beneficiaries of these Terms. You may not assign these Terms, in whole or in part, to any third party without our prior, written consent, and any attempt by You to do so will be invalid. Should any part of these Terms be held invalid or unenforceable, that portion will be construed consistent with applicable law and the remaining portions will remain in full force and effect. Our failure to enforce any provision of these Terms will not be considered a waiver of the right to enforce such provision. Our rights under these Terms will survive any termination of these Terms. You agree that: (i) the Site, Services and the Tavolo360.com shall be deemed solely based in Ohio; and (ii) the Site shall be deemed a passive website that does not give rise to personal jurisdiction over us, either specific or general, in jurisdictions other than Ohio. These Terms will be governed by the laws of the State of Ohio. You agree that the state and federal courts located within the State of Ohio will have exclusive jurisdiction over any dispute between You and us. However, You agree that we may seek equitable relief in any jurisdiction when appropriate. YOU AND THE Tavolo360.com AGREE THAT ANY CAUSE OF ACTION ARISING OUT OF OR RELATED TO THE SITE, SERVICES OR THE Tavolo360.com MUST COMMENCE WITHIN ONE (1) YEAR AFTER THE CAUSE OF ACTION ACCRUES. OTHERWISE, SUCH CAUSE OF ACTION IS PERMANENTLY BARRED. These Terms constitute the entire and only agreement between You and us and supersedes all prior or contemporaneous agreements, representations, warranties and understandings that relate to the subject matter of these Terms. We have a 30-day money-back guarantee for our online ordering system. If within 30 days you wish to cancel your online ordering system, we will refund your original purchase price of the system. To initiate your refund, please email us at contact@tavolo360.com within 30 days of the purchase date. We can have your Tavolo360 online ordering system ready for website deployment within 24hours of receiving your completed application. From time to time, and as part of our service offerings, Tavolo360 may develop a web-based Dashboard for you. If requested, you will be given access to your website CMS to make content updates. For reasons of security, the integrity of data and protection from theft, Tavolo360 does not allow clients direct FTP access to any of their sites. You may choose to or we may invite you to submit comments or ideas about the Service, including without limitation about how to improve the Service or our products (“Suggested Enhancements”). By submitting any Suggested Enhancement, you agree that your disclosure is gratuitous, unsolicited and without restriction and will not place us under any fiduciary or other obligation and that we may implement the Suggested Enhancement without any additional compensation to you, and/or to disclose the Suggested Enhancement on a non-confidential basis. You further acknowledge that, by acceptance of your submission, we do not waive any rights to use similar or related ideas previously known to us, or developed by our employees, or obtained from sources other than you. The User agrees to hold Tavolo360, Tavolo360’s affiliates, subsidiaries, partners, agents, officers, directors, employees harmless from any claim or demand, including reasonable attorneys’ fees, made by any third party due to or arising out of the User’s breach of these Terms of Service, or the User’s violation of any law or the rights of a third party. These terms and conditions and all policies and procedures that are incorporated herein by reference constitute the entire agreement between you, Tavolo360 and the Payment Gateway with respect to the provision of the Service. In the event of a conflict between this Agreement and any other Tavolo360 or Payment Gateway agreement or policy, this Agreement shall prevail on the subject matter of this Agreement. Except as expressly provided in this Agreement, these terms describe the entire liability of Tavolo360 and Payment Gateway and our vendors and suppliers (including processors) and sets forth your exclusive remedies with respect to the Service and your access and use of the Service. If any provision of this Agreement, or portion thereof, is held to be invalid or unenforceable under applicable law, then it shall be changed and interpreted to accomplish the objectives of such provision to the greatest extent possible under applicable law, and the remaining provisions will continue in full force and effect.